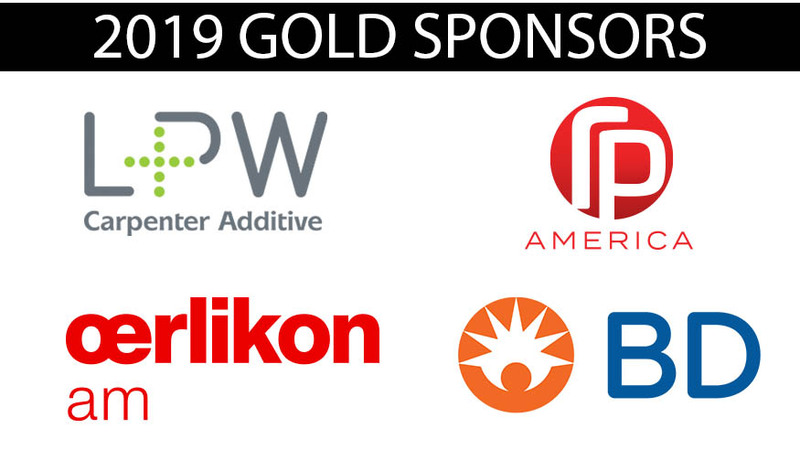 AMUG thanks our 2019 Sponsors. Click on a sponsor level to see who is supporting AMUG and read their details. 3D Systems, the originator of 3D printing, transforms manufacturing with its end-to-end solutions. Drawing on its deep expertise and unique workflow approach including software, hardware, materials and services, 3D Systems is positioned to help companies innovate, design, and manufacture in new ways – enabling them to realize competitive advantage. For more information, visit www.3dsystems.com. 3YOURMIND offers enterprise software to optimize the additive manufacturing processes for leading companies and 3D print services. Its technology allows customers to fully exploit the potential of industrial 3D printing using digital workflows to connect teams with production locations, optimize machine utilization and enable well-informed production decisions. The 3YOURMIND solutions for end-to-end AM workflows include AMPI for part identification, Order Management and the Agile MES for production management. 3YOURMIND’s AM Services department offers on-demand expertise for CAD modeling, part optimization, and technology selection. It works closely with customers to add efficiency to AM workflows and to drive AM production forward. The software is laying the foundation for agile manufacturing. Customers who have already successfully integrated 3YOURMIND products into AM production include GKN, DB Schenker, Postnord, EOS, and other undisclosed enterprise companies. For more information, visit www.3yourmind.com. Additive Industries is accelerating industrial additive manufacturing of high quality, functional, metal parts by offering a modular end-to-end 3D printing system including a seamlessly integrated information platform to high end and demanding industrial markets. With substantially improved reproducibility, productivity, and flexibility, Additive Industries redefines the business case for series production of additive manufacturing applications in aerospace, automotive, medical technology and high-tech equipment. For more information, visit www.additiveindustries.com. BASF enables innovation in the 3D printing market to help expedite customers transition into production by providing a vast technology toolbox of high performance materials, formulations and sustainable solutions. For more information, visit www.basf.com. BigRep develops the world’s largest serial production 3D printers, creating the industry benchmark for large-scale printing with the aim to reshape manufacturing. Its award-winning, German-engineered machines, including the STUDIO and ONE, are establishing new standards in speed, reliability and efficiency. BigRep’s printers are the preferred choice of engineers, designers and manufacturers at leading companies in the industrial, automotive and aerospace sectors. Through collaborations with its strategic partners – including Bosch, Etihad Airways and Deutsche Bahn – and key investors – including BASF, Koehler, Klöckner and Körber – BigRep continues to develop complete solutions for integrated additive manufacturing systems, as well as a wide range of printing materials on an open-source basis. Founded in 2014, BigRep is headquartered in Berlin with offices in New York, Boston and Singapore. For more information, visit www.bigrep.com. Carbon works at the intersection of hardware, software, and molecular sciences to deliver on the promise 3D printing, allowing commercial customers to go beyond basic prototyping to achieve 3D manufacturing. Carbon3D’s technology unlocks materials and mechanical properties that are impossible to get with other conventional 3D printing technology. Parts produced with Continuous Liquid Interface Production technology (CLIP) have a consistent surface finish and, most importantly, are isotropic. CLIP eliminates the shortcomings of conventional 3D printing by using a tunable photochemical process instead of the traditional, layered mechanical approach to rapidly transform 3D models into physical objects. For more information, visit www.carbon3d.com. DSM Additive Manufacturing is part of Royal DSM, a purpose-led global science-based company in Nutrition, Health and Sustainable Living. DSM delivers innovative business solutions for human nutrition, animal nutrition, personal care and aroma, medical devices, green products and applications, and new mobility and connectivity. DSM’s Additive Manufacturing business delivers 3D printing technologies – enabling sustainable production and improving people’s living. The AM team helped pioneer the additive manufacturing industry more than 25 years ago with our Somos® products – and never stopped innovating. Digital, connected and distributed manufacturing has become a reality with 3D printing, allowing manufacturers to use more efficient and sustainable production methods. For more information, visit www.dsm.com/additive-manufacturing. Dyndrite is creating next-generation software for the design, manufacturing and additive marketplace. Our goal is to dramatically increase the workflow and efficiency of additive manufacturing technicians. EOS is the world’s leading technology supplier in the field of industrial 3D printing of metals and polymers. Formed in 1989, the independent company is a pioneer and innovator for comprehensive solutions in additive manufacturing. Its product portfolio of EOS systems, materials and process parameters gives customers crucial competitive advantages in terms of product quality and the long-term economic sustainability of their manufacturing processes. Furthermore, customers benefit from deep technical expertise in global service, applications engineering and consultancy. For more information, visit www.eos.info. Essentium, innovators in both materials and production systems, s disrupting traditional manufacturing processes by bringing strength and speed together, at scale, with a no-compromise material set. We are committed to creating digitally-enabled solutions at scale for the world’s top manufacturers. For more information, visit www.essentium3d.com. ExOne, has, for over 20 years, been a global leader in Additive Manufacturing, providing 3D printing machines, 3D printed products and related services to customers in a variety of industries including: pumps/valves, automotive, aerospace, energy, heavy equipment, and general industry. The ExOne process, which utilizes a binder jetting technology, selectively jets binder onto a powdered material bed and builds parts from a 3D CAD file layer by layer. ExOne’s corporate headquarters is in North Huntingdon, PA with manufacturing operations in the United States and Germany. Production service and adoption centers are located in the United States, Germany, and Japan. For more information, visit www.exone.com. Farsoon Technologies is a global comprehensive solution supplier of industrial-grade polymer and metal laser sintering systems. Founded on the clear vision and core commitment to creating “Open for Industry” high value-proposition systems, Farsoon gives users the freedom to innovate and expand the envelope of sintering technology for the world. Farsoon users also have access to all parameter settings with customizable solutions based on application and material requirements to meet their specific needs. It is our core belief that only by having an open system and finding new, better, and more cost-effective materials can the industry continue its rapid growth. For more information, please visit www.farsoon.com. Formlabs designs and manufactures powerful and accessible 3D printing systems. Headquartered in Boston with offices in Germany, Japan, and China, Formlabs is establishing the industry benchmark for professional 3D printing for engineers, designers, and manufacturers around the globe, and accelerating innovation in a variety of industries, including education, dentistry, healthcare, jewelry, and research. Formlabs products include the Form 2 SLA 3D printer, Fuse 1 SLS 3D printer, Form Cell manufacturing solution, and Pinshape marketplace of 3D designs. Formlabs also develops its own suite of high-performance materials for 3D printing, as well as best-in-class 3D printing software. For more information, visit www.formlabs.com. GE Additive is part of GE, the world’s Digital Industrial Company, transforming industry with software-defined machines and solutions that are connected, responsive and predictive. GE Additive includes additive machine providers Concept Laser and Arcam, along with additive materials provider AP&C. At GE Additive, we are passionate about the transformative power of advanced manufacturing. And as a notable user of additive technologies, we recognize the value and potential it brings to modern design and manufacturing challenges. GE Additive is committed to leading the industry through world-class machines, materials and services—accelerating innovations across industries and helping the world work smarter, faster and more efficiently. For more information, visit www.ge.com/additive. HP Inc., created in 2015 and based in Silicon Valley, combines the heart and energy of a start-up with the scale and power of a Fortune 100 multinational corporation. Backed by nearly 50,000 employees and drawing from a 76-year legacy of engineered innovation, the company is focused on creating technology that makes life better for everyone, everywhere. Through our portfolio of printers, PCs, mobile devices, solutions, and services, we engineer experiences that amaze. HP Multi-Jet Fusion 3D Printing technology is set to reinvent design and manufacturing, by unlocking the full potential of 3D printing. For more information, visit www.hp.com/go/3Dprinting. SLM Solutions is a leading provider of metal-based additive manufacturing systems that optimize fast and cost-efficient part production. With multi-laser options, bi-directional recoating, open-software controls and closed-loop powder handling, Selective Laser Melting® systems achieve best-in-class safety and increased build speeds for complex and completely dense metal parts. For more information, visit www.slm-solutions.us. Stratasys has been a defining force in 3D printing and additive manufacturing for over 30 years. The company empowers customers across a broad range of vertical markets by enabling new paradigms for design and manufacturing. The company’s solutions provide customers with unmatched design freedom and manufacturing flexibility – reducing time-to-market and lowering development costs, while improving designs and communications. The Stratasys ecosystem includes a wide range of 3D printers and materials; parts on-demand via Stratasys Direct Manufacturing; consulting and professional services; and the GrabCAD software platform. For more information, visit www.stratasys.com. NCP Leasing is the leading independent provider of financing for additive manufacturing equipment. Founded in 1987, NCP provides a wide range of lease and rental structures to satisfy the needs of industrial and commercial companies. We have participated in over 300 “additive manufacturing” transactions since 1994. This experience gives us an edge when it comes to making accurate assessments of residual values and understanding the specifics of each transaction. NCP has considerable financial strength. We remain principals in all transactions. This is an advantage when a lease is restructured during its term. For more information, visit www.ncpleasing.com. 3D Platform is a leading manufacturer of industrial-strength, large-format 3D printers. 3DP’s second-generation flagship 3D printer, the 3DP Workbench, is an additive manufacturing workbench that offers a large build area of 1 x 1 x 0.5 meters. Based in Roscoe, Illinois, 3D Platform is committed to utilizing their expertise in mechatronics and linear motion to design and construct the best-in-class large-format 3D printers while maintaining affordable flexibility with open market software and control solutions. For more information, visit www.3dplatform.com. AddUp Inc., formed by Michelin and Fives, offers an extraordinary level of knowledge, experience, machine capabilities and support to companies with a future in metal AM. Our products and services are designed and built for industrial metal AM applications that demand productivity, precision and repeatability in a mass-production environment. For more information, visit www.addupsolutions.com. Air Force Life Cycle Management Center Product Support Engineering (AFLCMC/EZP) and the University of Dayton Research Institute (UDRI) are partnered in an effort to improve warfighter readiness through the use of additive manufacturing and cold spray technologies, utilizing a global enterprise approach and creating a solid foundation for continued growth in the industry. AFLCMC is building the foundation around training, materials, and process & product qualification to “print anytime, anywhere, on any machine!” For more information, visit www.innovatewithudri.org. ANSYS has the most comprehensive solutions for additive manufacturing on the market today. This includes topology optimization and design validation as well as preparing for a successful build by enabling orientation and support selection combined with simulation of the actual build process. This process simulation can predict multiple modes of failure and deformation as well as residual stresses before and after heat treatment. Users can also look at the order of post processing steps and predict the characteristics of the resulting materials. ANSYS also has tools to handle all of the geometry requirements around additive manufacturing. The unique clean-up and preparation tools in ANSYS SpaceClaim streamline the process of getting models ready to go. For more information, visit www.ansys.com. Arkema will showcase, at the AMUG Conference, its market-leading product portfolio and innovations for each of the major 3D Printing technologies: UV curing, powder bed fusion, and filament extrusion under its newly launched ‘3D Printing Solutions by Arkema’ platform, led by its flagship brands including N3xtDimension® liquid resins, Rilsan® biosourced polyamide 11, and ultra-high performance Kepstan® PEKK polymer. Come see how Arkema’s materials have enabled some of the most exciting innovations in 3D printing and learn how the newest products in our range are enabling the manufacture of end-use parts. Our experts will be available to discuss how our offerings can be customized to your application. For more information, visit www.3d-arkema.com. BeAM, part of the AddUp Group, specializes in designing and producing industrial metal additive manufacturing machines using the Directed Energy Deposition Technology (DED). BeAM works closely with its customers and business partners to develop and industrialize manufacturing and repair processes with feasibility assessments, pilot production, sales of systems, training and technical support. To date, BeAM has developed innovative repair methods for critical aircraft engine parts enabling previously un-repairable components to be re-deployed for use in flight. Further application opportunities for DED solutions are the addition of features to existing components and the creation of near net shape parts. For more information, visit www.beam-machines.com. Computer Aided Technology (CATI) has made it our mission to deliver and support the best product development solutions available. Our portfolio includes solutions from Stratasys, Creaform, Desktop Metal, SOLIDWORKS, and Dassault Systèmes. We exist so our clients can focus on what they do best – design and manufacture their products. From small design firms to Fortune 500 companies, we support thousands of market-leading companies in every niche of product development, design, and manufacturing. Anyone can sell you software or hardware; our goal is to earn the right to be your trusted advisor. For information, visit www.cati.com. Desktop Metal is accelerating the transformation of manufacturing with end-to-end metal 3D printing solutions. Founded in 2015 by leaders in advanced manufacturing, metallurgy, and robotics, the company is addressing the unmet challenges of speed, cost, and quality to make metal 3D printing an essential tool for engineers and manufacturers around the world. The company has raised $277 million in financing with a portfolio of strategic investors, including Ford Motor Company, GV, GE Ventures and BMW iVentures. Desktop Metal was selected as one of the world’s 30 most promising Technology Pioneers by World Economic Forum and named to MIT Technology Review’s list of 50 Smartest Companies. For more information, visit www.desktopmetal.com. DMG MORI is a leading producer of cutting machine tools. As a global full-liner with over 20 years of experience in the additive manufacturing of metal parts, DMG MORI represents innovative manufacturing technologies and a worldwide service. The portfolio includes four complete process chains for additive processes using powder nozzle or powder bed technologies. For this integral offer DMG MORI combines its LASERTEC SLM models and the LASERTEC 3D series with the machining centers from its broadly diversified machine portfolio. For more information, visit www.dmgmori.com. EnvisionTEC is a leading global provider of professional-grade 3D printing solutions. Our company invents, develops, manufactures and sells 3D printers and proprietary materials worldwide. Founded in 2002 with its pioneering commercial DLP printing technology, EnvisionTEC now sells more than 40 printers based on six distinct technologies that build objects from digital design files. The company’s premium 3D printers serve a variety of medical, professional and industrial markets, and are valued for precision, surface quality, functionality and speed. For more than 15 years, EnvisionTEC has been delivering desktop and production 3D printers and materials that deliver best-in-class results. For information, visit www.envisiontec.com. GKN Additive is a digital manufacturer of metal AM parts and materials for prototypes, medium series and the aftermarket. Our AM production plants are embedded in Industry 4.0, backed by an intelligent global print network for maximum efficiency and prompt delivery to our customers. GKN Additive builds on GKN Powder Metallurgy’s dual expertise in powder production and metal processing to drive industrialization across the whole AM value chain. From advanced metal powders to design and manufacturing services, we drive new technologies to the limit to make technology simpler, faster and more accessible. For more information, visit gknpm.com/additive. Materialise incorporates more than 28 years of 3D printing experience into a range of software solutions and 3D printing services, which together form the backbone of the 3D printing industry. Materialise’s open and flexible solutions enable players in a wide variety of industries, including healthcare, automotive, aerospace, art, design, and consumer goods, to build innovative 3D printing applications that aim to make the world a better and healthier place. Headquartered in Belgium, with branches worldwide, Materialise combines the largest group of software developers in the industry with one of the largest 3D printing facilities in the world. For more information, visit www.materialise.com. Matsuura’s cutting-edge LUMEX technology is transformative in today’s world of 3D Metal Additive Manufacturing. With Matsuura’s combination of best-in-class CNC Milling and high speed Direct Laser Melting, Matsuura has fundamentally revolutionized the AM marketplace. Matsuura Machinery USA, Inc., located in St. Paul, MN, is the U.S. subsidiary of Matsuura Machinery Corporation in Japan. Since 1935, Matsuura has been the forerunner in designing innovative technology and manufacturing solutions to a variety of industries around the globe. Matsuura Machinery USA, Inc. delivers unmatched excellence in 5-axis, vertical, horizontal, linear motor, multi-tasking CNC machine tools and machines with a powder bed metal AM platform with machining capability. For more information, visit www.matsuurausa.com. MicroTek Finishing delivers innovative precision surface finishing services using a proprietary Micro Machining Process (MMP). Working from its own treatment labs, MTF provides manufacturers with custom finishes to meet their exact specifications. MicroTek Finishing, LLC has an exclusive license in North America to provide proprietary deburring/polishing method known as the Micro Machining Process (MMP). MMP is a physical-catalyst surface treatment applied to items placed inside a treatment tank. MMP begins with a detailed analysis of the surface state of the item to be treated. The processing parameters are then determined with a degree of precision that is unique in the market. For more information, visit www.microtekfinishing.com. MSC Software develops engineering software that enables engineers to simulate the mechanical behavior and improve the performance of engineered systems subjected to varying loading environments. The engineering simulation software developed is applicable to numerous engineering problems ranging from material design at the micro scale to strength and motion analysis at the macro scale. Customers worldwide use MSC engineering software to complement and minimize the physical “build and test” process that has traditionally been used in product design. For more information, visit www.mscsoftware.com. Optomec is evolving the world of additive manufacturing by taking 3D printing in new directions. Our production-grade 3D printers support the broadest set of functional materials, from structural metals to conductive electronics and biologic matter. Our flexible systems are used for building prototypes, volume manufacturing, repairing high-value metal components, and remanufacturing obsolete parts. Our capabilities are used in high-reliability applications in aerospace and military markets, and meet the demanding performance and cost requirements of consumer electronics. We are breaking new ground with our unique ability to print antennas and sensors, making Optomec a key partner for enabling the Internet of Things (IoT). For more information, visit www.optomec.com. Plural distributes and services additive manufacturing machines including 3ntr industrial 3D printers. With the 3ntr printer, the AM process can save an average of 50% over traditional manufacturing methods while concurrently adding the benefits of better and more efficient design, faster time to market, and lower inventory costs. In addition to their large and very large print envelopes of the A4 and A2 models, 3ntr printers include 3 print nozzles for multi-material and soluble support printing. The liquid cooled print heads enable a wide range of materials including high temperature and FDA-approved variants. HEPA filtration ensure a healthy, particle- and odor-free space safe for offices. For more information, visit www.pluralam.com. PostProcess Technologies is the world’s only provider of automated and intelligent post-printing solutions for 3D printed parts. Our comprehensive systems remove the post-print bottleneck for all 3D print technologies and materials. With a combination of proprietary software, user-friendly hardware, and eco-friendly chemistry technologies, PostProcess delivers increased throughput, consistency, and productivity. Our suite of systems for support removal and surface finishing range from small desktop units to production-scale systems, including hybrid machines performing both processes in one compact unit. Our proven solutions are utilized in many industries including aerospace, automotive, consumer goods, defense, medical, dental and more. For more information, visit www.postprocess.com. RIZE Inc. is a Boston, USA-based, next-generation additive manufacturing company defining Desktop Industrial 3D Printing. RIZE’s first product, RIZE™ ONE, is winning industry and customer accolades. RIZE won a 2018 Frost & Sullivan award for ‘Best Practices in Technology Innovation in the Zero-Emission Polymer Material Additive Manufacturing industry’ and IDC named RIZE a ‘2018 Innovator in 3D Printing.’ Prestigious organizations like NASA, US Army, US Navy and Merck have chosen the product for supporting their additive manufacturing needs. RIZE’s unique patented Augmented Deposition technology, combining material extrusion and material jetting, is an industry breakthrough. With this technology, RIZE delivers industrial-strength parts with zero labor applied to post-processing, complete authentication and trust by printing text, images and QR codes. RIZE also delivers materials that are safe and recyclable. RIZE ONE is now in operation at several customer sites across the world and XRIZE is the world’s first full-color Desktop Additive Manufacturing platform. Sandvik Additive Manufacturing has a leading position within the AM metal powder market and has made sizeable investments into a wide range of AM printing process technologies for metal components. Adding 150 years of experience in materials technology, 75 years in post processing methods like metal cutting, sintering and heat treatment, Sandvik has well-established and leading competence across the entire AM-value chain. Materials technology is included in Sandvik’s DNA – and the company has experience from printing in a wide range of materials for additive manufacturing, such as tool steels, including maraging steels, stainless steels and duplex steels, high-temperature materials, nickel-based alloys, titanium alloys and cemented carbide. For more information, visit www.additive.sandvik. Shanghai Union Technology Corporation (UnionTech™) manufactures and markets “industrial grade” stereolithography equipment that offers freedom of open design for materials and software, high accuracy and surface finish and cost-effective ownership from the initial purchase price through the entire life cycle of the equipment. Our commercial series consists of the PILOT 250 and PILOT 450 (platforms of 250 mm square and 450 mm square, respectively. The production series includes the RSPro 600, RSPro 800, and the newly announced RSPro 1400. Union Tech, Inc is a fully owned subsidiary of Shanghai Union Technology Corp. All products are manufactured in China with globally sourced components from leading brands. For more information, visit www.uniontech3d.com. Tekna’s powder division manufactures spherical metallic powders for additive manufacturing applications (mainly L-PBF, EB, and DED). Vader Systems was founded in Buffalo, NY, by a father/son team driven to create a lower-cost, true production solution for metal 3D printing. Their dream was realized with the Mk1 Experimental, featuring patent-pending Magnetojet technology. The Mk1 inputs stock metal wire and jets high-speed molten metal droplets using a combination of resistive heating and electromagnetic propulsion. This ground-breaking and scalable technology is capable of achieving fully dense parts and is well suited for a variety of industries. Vader is currently printing with aluminum alloys 4043, 6061, and 7075. Future developments will include additional metals as well as multi-nozzle printers. For more information, visit www.vadersystems.com. Xact Metal is taking the essential specs for metal powder-bed fusion and combining them with breakthrough technology to establish a new level of price and performance for additive manufacturing. Our products include the XM200C which makes quality metal powder-bed fusion available for universities, labs and small-to-medium businesses who need prototyping, tooling capabilities, or low volume casting alternatives; and the XM200S which is ideal for printing of small parts where high-performance metal powder-bed fusion applications and print speed are critical. We’re dedicated to supporting the next generation of innovative manufacturing solutions powered by metal 3D printing. For more information, visit www.xactmetal.com. XJet is a provider of groundbreaking metal and ceramic additive manufacturing technologies and solutions. Founded in 2005, XJet has developed and introduced the revolutionary NanoParticle Jetting™ technology. With a decade of research behind it, our NPJ technology enables the production of metal or ceramic parts with the same ease and versatility of inkjet printing without compromising throughput or quality. Our world-class team of skilled industry veterans and dynamic R&D specialists holds over 75 registered and pending patents. Leveraging our proprietary technology and proven expertise, XJet is redefining the metal and ceramic AM industries. For more information, visit www.xjet3d.com. 3D Material Technologies is a division of ARC Group Worldwide. 3DMT is an Additive Metal Service Center offering 2 different metal technologies in North America with machines from EOS, Concept Laser. With a long history in powder metals, ARC Group Worldwide finds itself uniquely situated to take full advantage of offering Additive metals to its current customer base while building key partnerships in industries like Aerospace, Medical Devices, Space Propulsion, DOD and DOE Markets. For more information, visit www.3dmaterialtech.com. 3D Printing Industry (3DPI) is a global media company providing a dedicated resource for anyone interested in additive manufacturing. The mission of 3DPI is to report on and create original content to keep our large and growing audience abreast of technology breakthroughs, the latest applications and the opinions of industry insiders. We also host the annual 3D Printing Industry Awards, this year taking place on June 6th in London. For more information, visit www.3dprintingindustry.com. 3Degrees delivers practical solutions and smart strategies to help companies maximize their investments in advanced manufacturing technologies, with a focus on 3D Printing. We have expertise in material design and selection, part evaluation, training and safety and designing 3X Printing roadmaps and long-term strategies. As part of our work with clients from Fortune 500 companies to small manufacturing firms, we also have recognized the need for an intuitive yet comprehensive 3D Printing tracking system to enable companies to catalogue their entire 3D Printing lifecycle from initial part design to standards followed in production and post-processing. Our tool, TRACE is currently being used by a variety of industries, including an industrial metals manufacturer, a leading university, a national consortium and a global manufacturing company. Additive Manufacturing Media is devoted to industrial applications of 3D printing technology. We are exploring the ways manufacturers are using this technology to make tooling, molds, functional prototypes and end-use production parts. Our coverage is aimed at manufacturing leaders. Some are succeeding with AM today. Others expect AM to be among the ways they make parts in the future. For decision-makers in both groups, we report on the promise of additive, its current applications, advances in technology, the challenges of employing AM effectively, and the relationship of additive manufacturing to other manufacturing operations. For more information, visit http://www.additivemanufacturing.media/. Additive Metal Alloys is a full service metal powder supplier focused primarily on the additive manufacturing industry. With over 20 years of experience, Additive Metal Alloys offers the most comprehensive solution for sustainable production in the emerging metal additive manufacturing industry. By keying on the synergies of superior engineering, leading technology, flexible production, and tailor-made solutions, our comprehensive range of powder alloys serve a variety of industries worldwide. Offering support and excellent customer service Additive Metal Alloys is your complete supplier of metal additive manufacturing powder solutions. For more information, visit www.additivemetalalloy.com. Admatec is dedicated to providing additive manufacturing solutions for high demanding applications and markets. With the revolutionary ADMAFLEX technology, we offer customers the ability to shape ceramics and metals from single-piece to large-scale productions. The ADMAFLEX process delivers strong performing materials using patented 3D printing technology. Based in the Netherlands, Admatec is located in a unique high-tech engineering environment, allowing to develop processes that include the full supply chain while recognizing the flexibility that the user expects. For information, visit www.admateceurope.com. Aleph Objects, Inc. is the Colorado-based designer and manufacturer of the award-winning line of LulzBot® 3D Printers for rapid prototyping, additive manufacturing, educators, and hobbyists. Aleph Object’s core company values of free software, Libre Innovation, and open-source hardware enable users to uniquely modify both software and hardware to bring their imagination into reality. For more information, visit LulzBot.com. Arconic Inc. creates breakthrough products that shape industries. Working in close partnership with our customers, we solve complex engineering challenges to transform the way we fly, drive, build and power. Through the ingenuity of our people and cutting-edge advanced manufacturing techniques, we deliver these products at a quality and efficiency that ensure customer success and shareholder value. For more information: www.arconic.com. Argyle Materials, Inc’s refill materials are compatible with the following Stratasys® 3D Printers: uPrint® and uPrint SE® series, Fortus 900mc®/450/400/380/360/250/200mc®, Dimension 1200es®/Elite®/768®, and Legacy printers. For information, visit www.argylematerials.com. Aristo-Cast, the 2018 ICI Automotive Award winner—2017 AFS Casting of the Year winner—2014 Metalcaster of the Year, offers investment castings delivered to you with unsurpassable quality. Utilizing our latest AM equipment we produce castings from math data, in as short as 2 working days, without tooling. We pride ourselves with on-time deliveries and castings produced with the highest degree of dimensional and metallurgical integrity. Our customer’s needs and requirements are of the utmost importance and we stand behind our statement of “Quality thru Teamwork”. We are the only investment casting mfg. company in the US that offers magnesium in prototype and production volumes. For information, visit www.aristo-cast.com. ASME helps the global engineering community develop solutions to real-world challenges. From AM Standards, to Journals covering advances in R&D, and a new course in Design for Additive Manufacturing, ASME helps guide engineers through the maze of AM capabilities and possibilities. Founded in 1880 as the American Society of Mechanical Engineers, ASME is a not-for-profit professional organization that enables collaboration, knowledge sharing and skill development across all engineering disciplines, while promoting the vital role of the engineer in society. ASME’s codes and standards, publications, conferences, continuing education and professional development programs provide a foundation for advancing technical knowledge and a safer world. For more information visit www.asme.org. Aurora Labs Ltd (ASX:A3D) is an industrial technology and innovation company that specializes in the development of 3D metal printers, powders, digital parts and their associated intellectual property. Autodesk makes software for people who make things. If you’ve ever driven a high-performance car, admired a towering skyscraper, used a smartphone, or watched a great film, chances are you’ve experienced what millions of Autodesk customers are doing with our software. For more information visit www.autodesk.com/make. BD is a global medical technology company that is advancing the world of health by improving medical discovery, diagnostics and the delivery of care. BD’s associates work with customers to help enhance outcomes, lower health care delivery costs, increase efficiencies, improve health care safety and expand access to health. For more information visit www.bd.com. CAD BLU, the experts in 3D printing with over 15 years in the industry, offers rapid prototyping and manufacturing solutions, systems, support and materials. Experts in 3D Printing: Systems, Supplies & Parts. CAD BLU offers materials- plastics (ABS, PC, PP, PLA etc. ), wax, ceramics, metals, nylons, elastomerics & more. 3D scanning/haptic device hardware with software & support. For more information visit www.cadblu.com. CBG Biotech is dedicated to providing the best solvent recycling solutions for your needs. We tailor our industry-leading solvent recycling solutions to offer safety, automation, sustainability, cost savings and—most importantly—improved quality throughput to our customers’ critical lab and industrial applications. For more information, visit www.cbgbiotech.com. CIDEAS, founded in 1998, is a full-service, additive manufacturing (AM) and 3D printing center. Utilizing over 30 in-house machines, CIDEAS capabilities include: Stereolithography (SLA), Selective Laser Sintering (SLS), Fused Deposition Modeling (FDM), PolyJet, CLIP, urethane casting, and part finishing. For more information, visit www.buildparts.com. Cincinnati Incorporated (CI), which was founded in 1898, offers product lines that include CO2 and fiber lasers, automation, press brakes, shears, powdered metal presses, BAAM (Big Area Additive Manufacturing), and SAAM (Small Area Additive Manufacturing). For more information, visit www.e-ci.com/additive-manufacturing. Custom Prototypes Inc. offers one-off and small batch manufacturing services. Capabilities include a variety of 3D printing services like SLA, SLS, FDM and DMLS. Beside additive manufacturing, Custom Prototypes offers CNC machining, plastic vacuum forming, finishing, pattern making, casting, etc. Custom Prototypes also implements complete product development services consisting of industrial and engineering design, CAD, 3D scanning, reverse engineering and prototype development. Industries served include automotive, medical, aviation, mining, defense, motion picture and consumer products. Custom Prototypes also provides sales and service of 3D printing equipment manufactured by Zrapid Technologies and Raplas. For more information, visit www.customprototypes.ca. DEVELOP3D is a print and digital resource which tracks the essential technologies used throughout the entire product development process. With a globally respected editorial team with unparalleled industry experience, DEVELOP3D analyses and disseminates emerging technologies whilst engaging engineers and designers and assisting them in their increasingly complex software and hardware selection process. For information, visit www.develop3d.com. Digital Engineering (formerly Desktop Engineering) delivers an independent voice of need-to-know information on the combination of high-performance computing and simulation-based modeling that is driving up-front design, new rapid prototyping and testing technologies that are improving the bottom line, and the engineering services our audience needs to thrive. Our content is in the form of a monthly magazine, nine e-newsletters and social media. For information, visit digitalengineering247.com. Dinsmore & Associates, Inc. is a single source provider ranging in services from product design and development to prototyping to 3D printing. We remain at the forefront today, pioneering the use of innovative technologies that drive our ability to anticipate client needs and respond quickly to ever-changing economic, market and consumer demands. Our thought leadership, talent, technology and long-term client approach drives our abilities to continually evolve solutions while providing clients with consistent quality and competitive price. For information, visit www.dinsmoreinc.com. DowDuPont Transportation & Advanced Polymers is an industry leader providing high-performance engineering resins, adhesives, lubricants and parts to engineers and designers in the transportation, electronics and medical markets to enable material systems solutions for demanding applications and environments. industry leader providing high-performance engineering resins, adhesives, lubricants and parts to engineers and designers in the transportation, electronics and medical markets to enable material systems solutions for demanding applications and environments. For additional information, visit www.3dPrintingSolutions.DuPont.com. ENGINEERING.com brings the most important stories about additive manufacturing, 3D Printing, design software and many other engineering topics to a worldwide audience of engineers. Our stories are informative, inspiring and entertaining. We deliver those stories across social media, video, Internet destinations and mobile devices. ENGINEERING.com leverages this reach to deliver advertising campaigns for some of the world’s leading B2B brands, and for many more companies who aspire to build their customer base in engineering. For information, visit www.engineering.com. Embedded Electronics – The solid state (low temperature) bond allows embedding sensors and electronics. This enables built-in health monitoring, complex embedded controls, and the Internet of Things. Gradient Material Solutions – The bond permits joining of dissimilar metals opening the design space to enable property gradients and engineered material. CNC finish on internal structure – The hybrid nature of UAM means that all internal and external features are milled allowing CNC tolerance and surface finish. For more information, visit www.fabrisonic.com. GEFERTEC develops new methods for the production of metallic parts that extend beyond the limits of conventional production processes, thereby offering unique possibilities to designers, engineers and companies. GEFERTEC is the first and only company worldwide that provides the market with the revolutionary 3DMP® technology that is based on modern arc welding in the form of ready-to-use production machinery. The arc603 and arc605 machines are perfect manufacturing solutions for metalworking companies as well as for research and development institutions. For more information, visit www.gefertec.de. GPI Prototype & Manufacturing Services Inc. has been providing Direct Metal Laser Melting (DMLM) services since 2009. As one of the first metal additive manufacturing (3D printing) service providers in the country, GPI Prototype & Manufacturing Services Inc. has the expertise to take clients from early prototyping all the way to finished, small- and medium-run manufacturing. With 25 employees and 10 machines dedicated to DMLM, GPI produces prototypes and end-use parts with complex geometries not possible with traditional machining in a variety of metals, including aluminum, three stainless steels, maraging steel, titanium, Inconel and cobalt chrome. Dedicated to maintaining cutting edge technology, GPI helps clients rethink and revolutionize the way their parts are designed and manufactured. To further ensure the highest quality parts, GPI is pleased to be ISO 9001:2008, ISO 13485:2003 and AS9100:2009 Rev-C certified, as well as ITAR registered. For more information, visit www.gpiprototype.com. Granta Design believes that to achieve the full potential of additive manufacturing, it’s essential you know how to better manage your AM project data. Using the GRANTA MI: Additive Manufacturing software from Granta Design, find out how to capture accurate information, analyze it for insight, ensure traceability, and future-proof your AM research. Discover how you can consolidate, control and share AM data, including managing AM workflows for the lab and the enterprise. Improve your understanding of critical process/property relationships, get AM solutions to market faster, and ensure you are capturing the full testing and analysis picture: for powders, materials, and parts For more information, visit www.grantadesign.com. Höganäs AB is the pioneer and world leader in metal powders. We know our products and services can improve resource efficiency and inspire our customers to do more with less. We work closely with our customers and their customers to thoroughly understand needs and requirements of the end product. We are developing tomorrow’s solutions for numerous applications such as automotive components, brazing, electrical motors, surface coating, additive manufacturing and water treatment. With people at every level of our organization dedicated to redefining what is possible, we continue to astonish the world with new breakthroughs. For all the limitless possibilities of additive manufacturing, we offer material of superior quality and full-service expertise. We have the widest range of products and production technologies. Our portfolio of 3D-printing metal powders covers the full range of additive manufacturing processes, including nickel, iron and cobalt based alloys. Our AMPERPRINT portfolio encompasses various standard alloys and countless product versions modified according to specific customer needs. For more information, visit www.hoganas.com. INTAMSYS (abbreviation of INTelligent Additive Manufacturing SYStems) is a 3D printers manufacturer specializes in PEEK and high-performance functional materials 3D printing solutions. The company’s state-of-the-art FUNMAT HT and FUNMAT PRO HT are the latest high-performance series 3D printers engineered by INTAMSYS for high-performance functional materials 3D printing at affordable prices. INTAMSYS is committed to the highest manufacturing design and quality standards where all INTAMSYS 3D printers have received FCC and CE certifications. Today, INTAMSYS’ 3D printing solutions are trusted globally by customers from aerospace, automotive, oil & gas, medical, dental, and electronics manufacturing industries. For more information, visit www.intamsys.com. In’Tech Industries’ 3D printing division provides rapid prototyping and additive manufacturing (RP/AM) capabilities in five technologies; Stereolithography (SLA), Polyjet, Fused Deposition Modeling (FDM), Direct Metal Laser Sintering (DMLS) and Selective Laser Sintering (SLS). The diversity in technology allows us the ability to provide our customers designed parts that range from soft material to rigid plastics to hard metals. Our 10,000 square foot facility in Ramsey, MN, and 6,000 square foot facility in Racine, WI, provide us with climate controlled Virtual Translation Manufacturing (VTM) laboratories that are managed by an on-site service technician which enables us to optimize performance and capabilities. For more information, visit http://www.intechrp.com. Loctite branded 3D resins for additive manufacturing have been introduced by Henkel. Loctite 3D resins are designed to offer engineers and designers freedom of material choice for prototyping. They feature excellent print resolution, fast cure time and compatibility with most DLP and SLA printer platforms on the market. LPW Carpenter Additive makes metal AM a reality in critical production environments through end-to-end powder lifecycle management. We understand powder behaviour throughout the entire process: from producing highly-engineered powders to material performance before, during and after the powder-bed-fusion process. Our PowderRange products provide high quality powders off-the-shelf, meeting printing needs delivered within 24 hours of order. Our PowderLife products and services, designed for AM in production, deliver unique, end-to-end metal AM solutions, controlling risk and adding traceability through repeated AM builds. Customers around the globe value and trust our highly experienced team, with unrivalled metal AM knowledge and commitment to developing solutions to optimise performance. For more information, visit www.lpwtechnology.com. MakePartsFast is part of the Design World Digital Network. It provides design engineers and product designers with a balanced editorial approach addressing key issues, best practices, and material selection when exploring additive, subtractive, reverse engineering, rapid injection molding, CNC prototyping, custom or hybrid parts, prototypes, and finished parts. MakePartsFast provides news and educational articles on 3D printing and innovations in digital manufacturing and rapid prototyping via online tools, videos, podcasts, webinars, print and social media to reach engineering and manufacturing professionals. For more information, visit www.makepartsfast.com. Markforged transforms manufacturing with the most affordable 3D printers capable of producing parts tough enough for the factory floor. Engineers, designers, and manufacturing professionals all over the world rely on Markforged metal and composite printers for tooling, fixtures, functional prototyping, and high-value end-use production. Founded in 2013 and based in Watertown, MA, Markforged has over 200 employees globally, with $57 million in both strategic and venture capital. Markforged was selected by Forbes as one of the Next Billion Dollar startups, and listed as the tenth fastest growing tech company in the US in the 2018 Deloitte Fast 500. For more information, visit www.markforged.com. Metal Additive Manufacturing magazine is a leading news source for commercial and technical developments in metal AM. Available both in print and online, it is read by a large and rapidly growing audience of subscribers including component producers, end-users, industry suppliers, analysts and researchers. Each issue features a number of original in-depth articles and special features on metal Additive Manufacturing topics, as well as our extensive quarterly industry news rundown. Metal AM magazine is available as a free digital download or via a print subscription. For more information, visit www.metal-am.com. Locations: Blue Mounds, Wisconsin; Westminster, Colorado. For more information, visit www.midwestproto.com. Mimaki is a pioneer in the development of digital printing and cutting products worldwide. The company has engineered and manufactured a complete line of digital printers and cutters, and offers a total workflow solution for the many applications found in the Sign & Graphics, Textile & Apparel and Industrial markets. 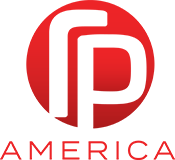 Mimaki excels in offering innovative, high quality, reliable printer products using a variety of technologies including 3D, latex, eco-solvent, solvent, aqueous dye sublimation, solvent UV and UV-LED. Mimaki Engineering Co. Ltd. celebrates 40 years of innovation in 2015, and is publicly listed on the JASDAQ Securities Exchange, Inc. For more information, visit www.mimakiusa.com. Oerlikon is your partner for additive manufacturing solutions at any industrial level. Our advantage is clear: we’re integrating and scaling the entire additive manufacturing (AM) value chain to handle your project from point A to Z. Ultimately, if you can imagine it, we can build it. Come build with us. It’s time to rethink what’s possible in AM. For more information, visit www.oerlikon.com/am. Paxis LLC has developed WAV (Wave Applied Voxel), an entirely new, scalable, industrial additive manufacturing process that is conquering the limitations of existing technologies. The patent-pending WAV process is not an embodiment improvement or license of an existing technology; it is a new process imagined and designed from the ground up by a small team within CIDEAS Inc, an industrial 3D printing service bureau, with its roots dating back to 1998. For more information, visit www.paxis.com. Photocentric, an innovator in photopolymers, is an award-winning photopolymer resin and LCD printer manufacturer based in Cambridgeshire, UK and Arizona, USA. It manufactures an innovative range of resins compatible with any printer from 355nm to 405nm and affordable 3D printers using LCD screens as their light source. Moving into enabling custom mass manufacture, Photocentric will be extending their LCD range with new large format printing models. For more information, visit www.photocentricgroup.com/3d. Praxair Surface Technologies knows that additive manufacturing powders are not just a commodity – they’re a specialty. Additive manufacturing continues to advance at a rapid rate. It’s critical your powders source continues to advance just as fast. From more than 50 years, we’ve been a leading manufacturer of gas atomized metal powders. And today, as additive manufacturing rapidly advances, we’re evolving our powders at the same rate. With Praxair TruForm metal powders for additive manufacturing, the sky isn’t the limit. It’s time to dream big. For more information, visit www.praxairsurfacetechnologies.com/am. Prodways is a leading developer of innovative technologies, 3D printing equipment, and premium materials. With the strong technological expertise of its parent company, Group Gorge, Prodways is a rising force in the industry, offering a range of 3D printers including the ProMaker L Series – based on our proprietary MOVINGLight® technology – and our plastic laser sintering ProMaker P Series by Prodways powered by Farsoon. Prodways offers an impressive range of materials, suitable for manufacturing in a vast number of diverse applications in aerospace, dental, medical and more. For more information, visit www.prodways.com. RAPID + TCT is where the entire additive manufacturing community convenes, and where industry-accelerating products are launched. The 2019 event will be held May 20-23 in Detroit, MI. Known worldwide as North America’s most important additive manufacturing event, RAPID + TCT provides everything you need to know about the latest 3D technologies, all under one roof. It is where you will witness groundbreaking product announcements, experience 300+ hands-on exhibits, learn real-world additive manufacturing solutions from the industry’s most respected experts, and network with thousands of industry peers. At the RAPID + TCT conference, over 150 industry leaders go beyond the hype to bring you real-world solutions to advance your manufacturing processes. For more information, visit rapid3devent.com. Rapid Prototyping Services, founded in 2004, provides quick turn 3D printed mechanical prototypes using ABS, ABS-ESD7, POLYCARBONATE, PC/ABS, NYLON-12, NYLON-12CF, ULTEM 9085/1010, and POLYPHENYLSULFONE. Since 2004 we’ve offered advanced product development services including 3D cad modeling, prototyping, production, appearance models, tooling and fixtures . RPS is a woman-owned, small business, with an ITAR Certification. For more information, visit www.rapidps.com. RePliForm provides electroplating services for plastic parts in the 3D printing industry. Our plating has been used to add strength & stiffness, durability, EMI Shielding, electrical & thermal conductivity, abrasion resistant, and much more! Our mission is to partner with customers to enhance the value of their custom tailored designs through the development of innovative processes to create metal-plastic composites with attributes that are superior to the sum of their parts. From fashion to the aerospace, RePliForm is ready to take on new challenges to advance the capabilities of the 3D printing industry. For more information, visit www.repliforminc.com. Ricoh Service Advantage enables our customers’ business growth by leveraging our core strengths and global infrastructure to provide a clear and compelling competitive advantage. Find out how to turn our experience into the accelerator your business requires with Managed 3D Print Services. Ricoh can help you improve your 3D print workflow and related processes, as well as manage and finance your hardware infrastructure. We can identify opportunities to reduce your total cost of operations, speed turnaround times, leverage your hardware investments and provide a single point of contact and billing for your 3D print production needs. For more information, visit www.ricoh-usa.com/en/managed-3D-print-services. RP America is the comprehensive source for all your 3D-printing needs—from equipment sales, to service and support, to information and advice, to financing. Founded on traditional Midwestern values of hard work, integrity, and strong relationships, you can be sure we’ll provide you with the right solution for your business. The product lines we represent include UnionTech stereolithography equipment, Rize 3D printers, Desktop Metal, and Somos® stereolithography materials. RP America also partners with RP Support America to provide service for additive manufacturing equipment across the U.S., Canada, and Mexico. When you purchase equipment, materials, or software from RP America, you have the security of knowing it is backed by an extensive, trusted service network with over 100 years of combined experience in providing quality support for 3D printers. For more information, visit www.rpamerica.us. Sciaky, Inc., a subsidiary of Phillips Service Industries, Inc. (PSI), launched its groundbreaking Electron Beam Additive Manufacturing (EBAM) process in 2009 with the objective to save manufacturers time and money on the production of large, high-value metal parts and prototypes. Today, we remain dedicated to perfecting the art and science of printing large metal parts (up to an industry-leading 19 feet in length), but we are also committed to offering the widest range of metal additive manufacturing solutions in the market. From high profile R&D projects to innovative systems and services, Sciaky will continue to push the boundaries of additive manufacturing technology into the foreseeable future. For more information, visit www.sciaky.com. SHINING 3D was founded in 2004 and quickly became China’s first OTC stock company in the 3D digitizing and printing industry. With business areas covering 3D scanning, 3D printing, 3D materials, 3D design and manufacturing service, and 3D network cloud platform, SHINING 3D is the industry leader in multiple aspects, including overall strength, sales volume, technology varieties, and service support capability. As the leading Chinese 3D printing company, SHINING 3D has won international influence with customers in more than 70 countries throughout Asia, the U.S., Europe, and the Middle East. For more information, visit en.shining3d.com. Siemens PLM Software helps companies of all sizes around the world to transform their business and develop innovative products and services. Our customers are better equipped to respond successfully to the challenges of digitalization. Our solutions optimize their processes from planning and development through manufacturing and lifecycle support to realize innovation. For more information, visit www.plm.automation.siemens.com. SmarTech Analysis provides industry analysis, data and market forecasting of the additive manufacturing world. Our reports, subscriptions and custom engagements address opportunities throughout the supply chain on both a qualitative and quantitative basis from materials to machines to software to post processing across all major and emerging verticals. For more information, visit www.smartechpublishing.com. Solvay Performance Polyamides is a business unit of Solvay, a multi-specialty chemical company that is committed to developing chemistry that addresses key societal challenges. Solvay innovates and partners with customers in diverse global end markets. Its products and solutions are used in planes, cars, smart and medical devices, batteries, in mineral and oil extraction, among many other applications promoting sustainability. Its lightweighting materials enhance cleaner mobility, its formulations optimize the use of resources and its performance chemicals improve air and water quality. Solvay is headquartered in Brussels with around 27,000 employees in 58 countries. For more information, visit www.solvay.com. Solukon offers peripheral post-processing equipment for additive manufacturing technologies. The company specializes in automatic depowdering units and compact automatic solution for the post processing metal powder removal process. Our products meet the highest functionality and safety standards. They are approved for safe and reliable processing of powder materials, including tough-to-handle and reactive metal powders. Inspired by users, the systems are engineered to provide a robust process-driven method of handling powder removal and retrieval, from automated loading solutions through to the final cleaning, ensuring convenient and economical operation. The company develops and supplies systems to industrial users and to several leading manufacturers of 3D printing systems. For more information, visit www.solukon.de. Stratasys Direct Manufacturing has nearly three decades of engineering and additive manufacturing experience in multiple technologies, including PolyJet, Stereolithography, Fused Deposition Modeling, Laser Sintering, Direct Metal Laser Sintering, Urethane Casting, CNC Machining, Tooling, Injection Molding, Finishing and Assembly. We leverage that knowledge to become an extension of your team, enhancing your processes, helping you take a new approach to design, and revolutionizing the way you think about manufacturing. With ISO 9001 and AS9100 certified locations across the U.S. and one of the largest 3D printing capacities in the industry, we can ensure your high-quality parts are where you need them, when you need them. Whether it’s rapid prototyping, an intricately detailed model or thousands of production parts, Stratasys Direct Manufacturing can meet your most demanding deadlines. Challenge the status quo and think beyond the limits of conventional manufacturing processes with solutions from Stratasys Direct Manufacturing. For more information, visit stratasysdirect.com. “The SL PRO” has specialized in the production of complicated small parts, which are characterized by high precision, fit and function. Offering a wide range of stereolithography materials, a variety of production (series) materials can be simulated. Twenty years of experience, a diverse selection of materials and plant technology allow SL Pro to respond to its customers’ different needs and desires. And it reacts quickly to requests with production of your parts within 24 hours wherever possible. SL Pro also offers a proprietary, patented process for coloring parts and a tool for setting and checking the fit. For more information, visit www.the-sl-pro.com. The TCT Group, part of Rapid News Publications Ltd, has a mission to accelerate design-to-manufacturing innovation across all industry sectors. The TCT Group has been a leading authority in the 3D technologies industry for over 20 years and, with a global reach, continues to deliver comprehensive market-leading events and media solutions. The TCT Group is home to the market-leading TCT Magazines (Europe, North America and German Language editions), TCT Show (UK), TCT Awards, TCT Asia (Shanghai, China), TCT Asia – Event Insight (Asia), TCT Shenzhen (China), TCT Korea (Changwon, South Korea), RAPID + TCT (USA), TCT Conference @ Formnext (Frankfurt, Germany) and TCT Japan (Tokyo, Japan). For more information, visit www.thetctgroup.com. Within the AM marketplace, UL helps navigate challenging industry issues involving workforce development, facility safety, equipment compliance and material and process validation. For more information visit www.ul.com/am. Xaar develops develop world-leading piezoelectric drop-on-demand inkjet technologies. We also are a world-class manufacturer of industrial digital inkjet printheads. Our printheads are trusted in industrial markets around the globe as the most effective way to lay down precise volumes of inks and fluids with absolute pin-point accuracy time after time. With each printhead dispensing millions of droplets per second, Xaar technologies deliver a range of benefits; these include unrivalled reliability, outstanding performance and process efficiencies. Our unique TF Technology® brings a competitive edge in 3D Printing/Additive Manufacturing by enabling the reliable printing of highly loaded and viscous fluids across a wide temperature range. With an uncompromising commitment to innovation, Xaar is driving piezoelectric drop-on-demand digital technology for inkjet enabled 3D Printing/Additive Manufacturing processes opening up novel opportunities and creating more value for our customers. For more information, visit www.xaar.com. AMT represents U.S.-based builders and distributors of manufacturing technology – the advanced machinery, devices, and digital equipment that U.S. manufacturing relies on to be productive, innovative, and competitive. Located in McLean, VA, near the nation’s capital, AMT acts as the industry’s voice to speed the pace of innovation, increase global competitiveness and develop manufacturing’s advanced workforce of tomorrow. With extensive expertise in industry data and intelligence, as well as a full complement of international business operations, AMT offers its members an unparalleled level of support. AMT also produces IMTS – The International Manufacturing Technology Show, the premier manufacturing technology event in North America. For more information, visit www.amtonline.org. American Additive Manufacturing is not your average Rapid Prototyping Service. We leverage a team of seasoned industry experts & military veterans to provide additively produced parts that are second to none. Honor, integrity and an unparalleled commitment to quality are at the core of our operation. Our services range from prototyping and tooling to full production. AS9100 quality control processes guarantee high-quality parts delivered on time and on budget. Our multiple Aircraft Interior Certification Solution F900’s have established us as a trusted partner in the production of Aerospace Parts & Tooling – AS9100D, ISO9001 and ITAR certified. We are a proud member of America Makes and passionately support American manufacturing. We’re not your typical faceless online giant. A personal touch from real American workers is our guarantee. For more information, please visit www.AmericanAdditive.com. ASTM International (www.astm.org), which is committed to serving global societal needs, positively impacts public health and safety, consumer confidence and overall quality of life. We integrate consensus standards — developed with our international membership of volunteer technical experts — and innovative services to improve lives… Helping our world work better. The ASTM International Additive Manufacturing Center of Excellence (www.amcoe.org) is a collaborative partnership among ASTM—and its 30,000 members—and representatives from government, academia, and industry that conducts strategic R&D to advance standards across all aspects of additive manufacturing (AM) which will accelerate the development and adoption of robust, game-changing technologies. For more information, please visit www.amcoe.org. CadmiumCD has spent the last fifteen years building technology for meeting planners, trade show organizers, and conference managers. Their fully integrated system includes abstract submissions & reviews, exhibitor & speaker management, branded websites & interactive floor plans, native conference apps, audio recordings, content distribution, e-posters, surveys & evaluations, logistics management, speaker ready room presentation management, and digital signage software. For more information, visit www.cadmiumcd.com. Clemco has been building high-quality industrial-grade blast equipment since the mid-1940s. Clemco equipment is designed and engineered for performance and productivity, and made to exacting standards that ensure durability. Our global team listens to customers and translates customer needs into product offerings to address the broad scope of blast applications involving cleaning, surface preparation, deburring, shot peening, and finishing. For more information visit www.clemcoindustries.com. DyeMansion is a global leader in additive manufacturing finishing systems for 3D-printed polymer parts. DyeMansion is a Munich, Germany-based company that offers a variety of high-volume finishing systems for an easy ‘Print-to-Product’ workflow that transforms raw, 3D-printed parts into high-value consumer and industrial products. With the ability to provide precision coloring and finish to the most exact specifications, DyeMansion technology is already trusted by more than four-hundred customers, including leading global manufacturers in diverse industries, such as eyewear, automotive, retail, medical, and sports equipment. DyeMansion works with all major industrial, powder-bed 3D printing systems, including EOS, HP, 3D Systems and Prodways and can deliver high-volume production for anything from luxury sunglasses to mission-critical automotive parts. For more information, visit www.dyemansion.com. Granutools improves powder understanding by delivering leading-edge physical characterization tools. Combining decades of experience in scientific instrumentation with fundamental research on powder characterization, we offer a unique set of complementary instruments. Named after their purpose, our instruments are tools to understand macroscopic behavior of powders. Granuflow for flow, Granuheap for static cohesion, Granudrum for dynamic cohesion, Granupack for tap density and Granucharge for triboelectric charge measurements.For more information visit www.granutools.com. Layered Manufacturing and Consulting offers consulting, and project management, services in the additive manufacturing space for varying markets including automotive, aerospace, medical, and more. We share knowledge and experience with a host of additive processes including SLA, SLS, DLS, MJF, FDM, Objet, DMLS, EBM, and EBAM. Layered Manufacturing is committed to growing the additive industry by aiding in securing prototype parts, as well as investigating new technologies/materials to define whether they are a viable fit for the customer’s product needs. To learn more about Layered Manufacturing and Consulting, please visit www.layeredmc.com. Rosler Metal Finishing, USA has been intensively involved in providing post processing solutions for additive manufactured parts as a complete package. There are numerous smoothing, polishing and blasting processes to select from to achieve the desired surface finish. Almost any material, e.g. plastics or metals, as well as work pieces from a great variety of different manufacturing systems, can be processed. The scope of options ranges from homogeneous surface appearance, through polishing processes with low roughness values and on to high-gloss polishing. Close cooperation with renowned industry partners and research & development institutes positions Rosler to offer good results very quickly for all surface characteristics in this rapidly developing technology. For more information, please visit www.rosler.us. VacuCoat Technologies, Inc. specializes in the art and science of vacuum metallizing for the rapid prototype industry. Our capabilities include the deposition of aluminum and numerous other metals, providing a wide variety of appearances. We have developed an expertise in the coating of SLA, SLS, epoxies, fiberglass, urethanes, and most rapid prototyping materials. In addition, VacuCoat metallizes a broad range of traditional substrates including: most plastics, steel, stainless steel, aluminum, and zinc components. For more information, visit www.vacucoat.com. Wenzel America is the North American Subsidiary of Wenzel Group, a major player in the metrology world. An innovative and flexible solver of customers’ measurement problems, Wenzel builds on a solid foundation of family, German precision engineering, flexibility and strong partnerships. We are large enough to support metrology customers all around the world, and at the same time, we focus on those customers as individuals, requiring unique solutions. The growth of additive manufacturing has been a driver in the development of Wenzel’s line of Volumetrik Industrial CT scanners for inspection and reverse engineering of parts with complex and hidden geometry. Our CT Scanning machines are known for having a small footprint, being easy to use and offering value for money. In addition to sales of machines; Wenzel America offers contract CT scanning services. For more information, visit www.wenzelamerica.com. Yazaki North America is part of the Yazaki Group. An independent automotive component maker founded in Japan in 1941, Yazaki is a global leader in the research, development and delivery of vehicle power and data solutions for automotive applications. Yazaki produces wire harnesses, power distribution & control products, connectors, driver information systems, sensors and hybrid & electric vehicle products. With 285,000 employees in 46 countries, Yazaki is one of the world’s largest privately-owned automotive suppliers. Every day we put our resources to work for one specific purpose: to help our customers achieve success. Defined by an unyielding commitment to the success of our customers, Yazaki has become a valued supplier to virtually every major automotive manufacturer in the world. For more information, visit www.yazaki-na.com. Kimya is the new brand from the ARMOR Group, dedicated to developing custom materials for additive manufacturing. Kimya is committed to supporting its industrial and printer-manufacturing customers by offering 3D materials on demand. For more information, visit www.armor-group.com/kimya. Pressure Technology, Inc. (PTI) is a leading supplier of Hot Isostatic Pressing Services (HIP) to the aerospace, power generation, medical, automotive and general industries. Performance and reliability of components manufactured in these industries using additive manufacturing, casting and traditional powder metallurgy techniques are of critical importance. Within two USA facilities, Warminster PA and Concord OH, PTI operates 11 HIP units ranging in size from 16” through 30” diameter. The majority of all PTI HIP units are capable of pressures up to or exceeding 25,000 psi which enables lower temperature processing of the stiffer nickel and titanium alloys. PTI has been a toll HIP provider since 1977 allowing its customers to eliminate major capital investment which would otherwise be diverted from core activities. PTI offers responsive customer assistance and 24/7 processing to allow rapid turnaround of customer product. For more information visit www.pressuretechnology.com. Sigma Labs Inc., founded in 2010, is a software company that specializes in real-time quality control solutions for advanced manufacturing technologies. Sigma’s innovative approach to quality assurance is a proactive, comprehensive and process-focused methodology that allows prediction with adequate confidence of product conformance to acceptance requirements. Sigma Labs provides Third Party, Independent, in-process quality assurance monitoring for Additive Manufacturing. The technology, PrintRite3D® pairs SENSORPAK™ sensors and hardware with INSPECT™ software for quality management of AM processes. The system can be adapted as a third-party retrofit on metal 3D printing machines and is available for license by machine OEM’s for integration within the new machine platform. For more information, visit www.sigmalabsinc.com. The AMUGexpo is a unique opportunity for industry-specific vendors to display their products and services to a focused market segment -- conference attendees with experience using additive manufacturing technologies such as 3D printing, fused deposition modeling, stereolithography and laser sintering.